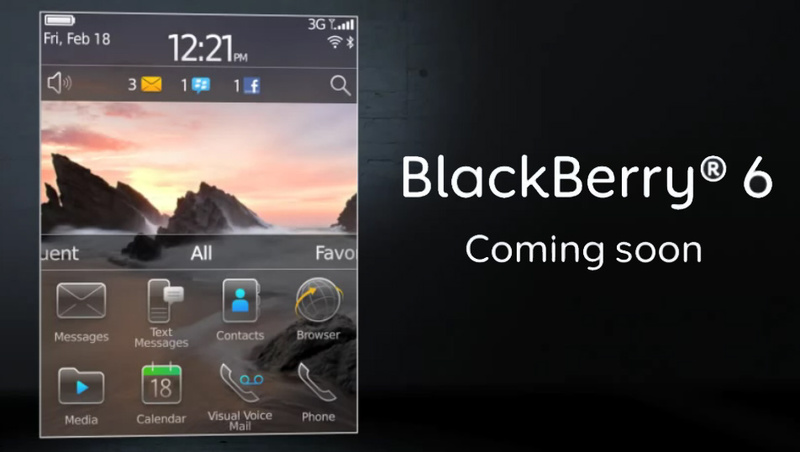 Research in Motion (RIM) has posted another teaser clip showcasing the upcoming BlackBerry 6 on their blog. Just like the first sneak peek video, this one does not hint at the physical design or the technical specifications of the phone. However, I do expect it to come out with better hardware than other smart phones on the market. BlackBerry has a history of being the businessman’s cell phone, so I am hopeful that it will not fail to impress! The universal search bar finds anything related to whatever the user types in. This feature is very beneficial, especially for heavy users, since they can now look for a file or tag quickly without needing to scroll through other menus and folders. The effectiveness of the search would depend on the hardware specifications of the cell phone; however, that information has not been released yet. The search menu on the “enhanced” media interface featured only the ability to look through YouTube videos. It would be better if the user could input what website (like Hulu, Yahoo! Video, or Google video) they want to look through instead. I feel that the enhanced media interface does add a certain aesthetic appeal to the cell phone, but nothing more. The design of the music and video menus is nothing new; it looks almost identical to the iPod’s horizontal-scroll-through menus. Social feeds are nothing new either, considering that almost all smart phones now come with them. However, considering the amount of social feeds users can sign up for (Facebook, Twitter, Gmail, etc. ), it is important to note that the notifications do not clutter the screen. Also, this feature does seem to be easy to use and convenient. Users can quickly switch, for example, between updating one’s Twitter status and sending an email with minimal hassle. The new fluid interface is not actually a redesign, but rather a retool of the older interface. Judging from the video, it makes browsing through the BlackBerry much simpler and smoother (hence, “fluid” interface). There were times when it was annoying to get from one program to another feature on my Storm2; fortunately, this doesn’t appear to be a problem with BlackBerry 6. The engineers have also added context-sensitive popups. Similar to what users experience on their computers, this BlackBerry will have popup notifications. This feature can go either way, though. Popups cannot obstruct the screen nor appear too often; if either of these should occur, this feature will become more of an annoyance to users than anything else. This new interface will also likely allow for more customization. Older BlackBerrys do not have the same amount of customization as new phones, but this will improve. Hence, I am looking forward to this new addition. Also, the BlackBerry messenger looks very unappealing in terms of aesthetics, at least from this sneak peek. The dark gray background and chat bubbles completely clash and detract from the overall visual experience. Granted, BlackBerrys are geared towards heavy business users, but it would have been nice to have a slick chat interface. I hope users will be able to change the background to their liking. The ability to attach various types of files (pictures, videos, location, audio, voice note, contacts) makes up for this minor visual flaw. Users can easily attach any of these (and possibly more) to an outgoing message by simply using the drop down menu. The web browser does not appear to be anything special. This portion of the video did show that this BlackBerry comes with a multi-touch screen, since users are able to pinch in and out for zoom. This is nothing new though, since many other phones, including the BlackBerry Storm2, have this feature. Finally, the BlackBerry 6 will have the ability to post on multiple social media outlets. Users can post onto their Facebook, Twitter, etc. simultaneously, saving them time. All in all, my favorite improvement is the new fluid interface. Customization is the most important feature I look for in a phone. Since the phone belongs to me, I like to include parts of my personality onto it. In contrast, that the messenger needs to do more to stand out for me. But again, it comes back to the issue of customization. If this phone builds upon the Storm2’s weaknesses and includes all of the above features, I would definitely be willing to give this phone a try. There is no release date or price point yet for this phone, but keep checking Skatter Tech for more updates in the coming weeks!